Here's another exotic riverside building, this time downstream at the east end of the Liberty Bridge. 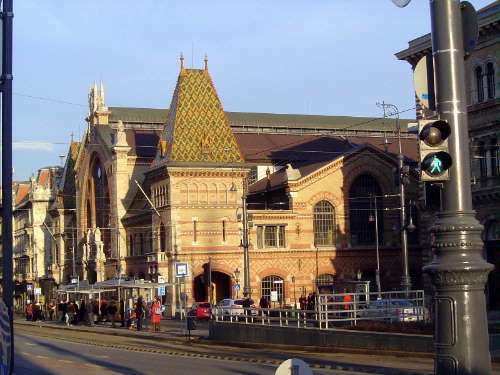 It's the Great Market Hall, the result of a competition won by Samu Petz. The building opened in 1896, with plenty of Zsolnay tiling.